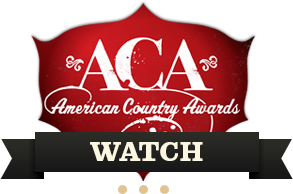 Welcome to the AMERICAN COUNTRY AWARDS - the show for the next generation of Country Music Fans! 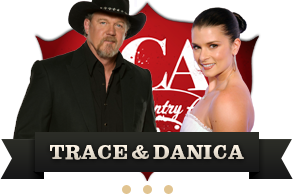 Multi-platinum recording artist Trace Adkins and NASCAR superstar Danica Patrick will co-host the fourth annual AMERICAN COUNTRY AWARDS, airing live from Mandalay Bay in Las Vegas Tuesday, Dec. 10 (8:00-10:00 PM ET live/PT tape-delayed) on FOX. This is Adkins' fourth time serving as a host of the annual awards show, which gives fans the opportunity to vote for their favorite artists in categories such as artists, albums, singles, videos and touring, encompassing the entire spectrum of country music and bestowing honors that no other awards show has. Nominees, performers and presenters to be announced. AMERICAN COUNTRY AWARDS is executive-produced by Bob Bain (TEEN CHOICE 2013, "Kids' Choice Awards"). Paul Flattery, Tisha Fein and Fletcher Foster serve as producers; and Greg Sills is supervising producer. Michael Dempsey will direct the special. "Like" AMERICAN COUNTRY AWARDS on Facebook at www.facebook.com/AmericanCountryAwards. Follow the series on Twitter @ACAINSIDER.